Yup, she's hot. For use with hot or cold liquids, this insulated Marilyn Monroe Hot Insulated Goblet with Lid includes both a lid and a straw. 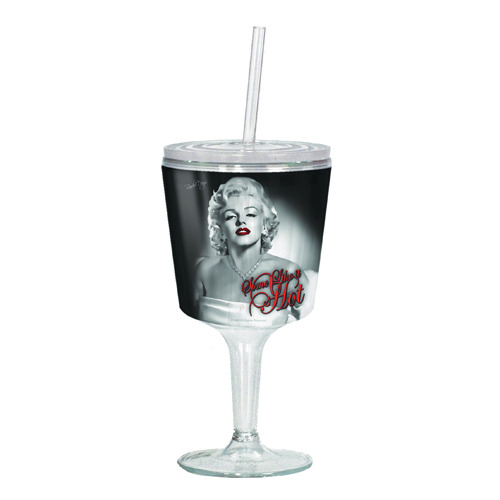 Featuring double-walled acrylic construction, a sizzling image of Marilyn Monroe, and the words "Some Like It Hot" (like the 1959 movie of the same name), the goblet holds 12 ounces and measures 7-inches tall. It's also BPA free. Hand wash only. Not dishwasher safe. Do not microwave.